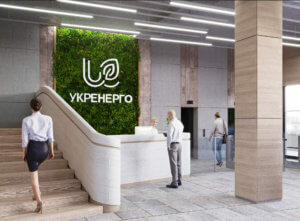 Ukrenergo on July 24 signed an agreement with KPMG Ukraine on the development of a compliance policy for the company, the press service of Ukrenergo has reported. 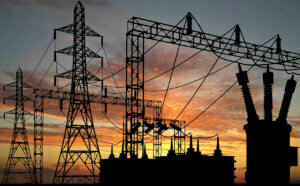 “When developing the documents, emphasis will be made on specific compliance standards, concerning the work of transmission system operators, for which KPMG Ukraine will attract one of the German transmission system operators as a consultant,” the press service said. In addition, on July 2 Ukrenergo signed a contract with the recruiting agency Talent Advisors LLC to find a compliance officer, who is also expected to be appointed as an agent for the implementation of an anti-corruption program in the company. As reported, compliance is part of the management/control system in the organization, related to the risks of non-compliance with the requirements of legislation, regulatory documents, rules and standards of supervisory bodies, industry associations and self-regulatory organizations, codes of conduct, etc. State-owned enterprise Ukrenergo has launched the modernization of the Kryvyi Rih 330 kV substation, the press service of the company has reported. “The works are fulfilled under the contract on technical re-equipment of the Kryvyi Rih 330 kV and Dnipro-Donbas 330 kV substations signed between Ukrenergo, international consortium GE Grid GmbH (Germany) and ChornomoretsEnergoSpetsBudMontazh LLC (Ukraine),” the company said. The project receives financing from a loan granted by the German government under Ukrainian sovereign guarantees. “All high-voltage equipment, protective relays and automatic equipment will be replaced and an automatic process control system will be introduced during the modernization of the 330 kV switchyard at the substation,” Ukrenergo said. As reported, Ukrenergo launched a new 125 MVA auto transformer AT-4 at the Vinnytsia 750 kV substation and a new 125 MVA auto transformer AT-1 at the Poltava 330 kV substation. Ukrenergo operates trunk and interstate power grids, as well as performs the centralized dispatching of the united energy system in the country. The company is a state-owned enterprise, it is subordinate to the Ministry of Energy and Coal Industry. 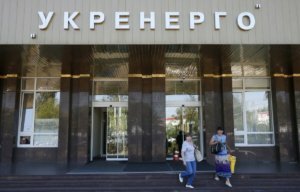 State-run Enterprise Ukrenergo on June 26 ceased accepting bids for a tender to provide voluntary medical insurance services to its employees, according to the ProZorro electronic procurement system. Four insurance companies – Krayina, Krona, NaftaGazStrakh, and Kniazha Vienna Insurance Group (all – Kyiv-based) – submitted their bids. As reported, the expected bid was estimated at UAH 8.187 million. The tender will be held on August 1. Ukrenergo operates trunk and interstate power grids, as well as performs the centralized dispatching of the united energy system in the country. The company is a state-owned enterprise; it is subordinate to the Ministry of Energy and Coal Industry. It will be reorganized into a private joint-stock company. Ukrenergo unites eight regional electric power grids: the Dniprovska, Donbaska, Zakhidna, Krymska, Pivdenna, Pivdenna-Zakhidna, Pivnichna, and Tsentralna. State-owned enterprise Ukrenergo has launched new 125 MVA auto transformer AT-1 at the Poltava 330 kV substation replacing old equipment, which had been used since 1968, the press service of the company has reported. 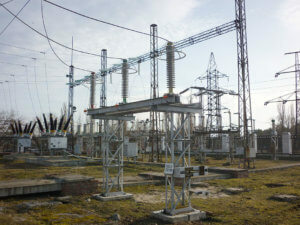 The press service said that the electric equipment was replaced under the substation modernization program with the replacement of transformers to increase reliability of operation of energy facilities of main power transmission lines of Ukrenergo. 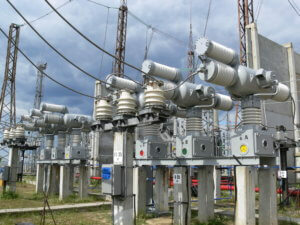 The press service said that power consumption in Poltava region shows trends of gradual growth. The Poltava substation supply electricity to consumers of Poltava region, including power facilities of the housing sector of the regional center, Ukrzaliznytsia and oil and gas companies. “The new autotransformer has improved performance and meets all the requirements of reliability and safety. In addition, it is already equipped with the ECMDU-TRANS System for Monitoring, Diagnostics and Control. This is a hardware and software complex that allows real-time monitoring, diagnostics of operating parameters of an autotransformer. 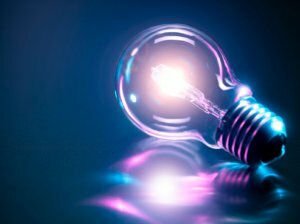 This will contribute to improving the overall reliability of energy supply to consumers in Poltava region,” Operational Director of Ukrenergo Oleksiy Brecht said. As reported, in May 2017, Ukrenergo approved the development strategy for 2017-2026, one of the key goals of which is integration into the European Network of Transmission System Operators (ENTSO-E).